Small molecules such as formic acids as well as ammonia borane and its derivatives are highly interesting for hydrogen storage. These compounds release hydrogen gas in presence of organometallic complexes as well as metal catalysts derived from such precursors at comparably low temperatures. The efficiency of such catalytic systems can be further improved by application of ionic liquids (IL) regarding: (I) stabilization of the catalyst, (II) recycling of the catalyst, (III) promoted dehydrogenation in case of ammonia borane derivatives and (IV) solubilization of hardly soluble dehydrogenated “spent-fuel”- products derived from ammonia borane derivatives. All these factors imply that additional material (e. g., IL) can still be beneficial for overall efficiency of a hydrogen storage system. Moreover, the immobilization of metallic catalysts in IL also gives access to a recyclable catalyst systems regarding the challenging regeneration of the spent-fuels (CO2 and dehydrogenated amino-borane products). So far, there are only very few examples applying organometallic catalyst (precursors) in ionic liquid media for dehydrogenation and hydrogenation reactions for potential future hydrogen storage materials.
. "Metal Oxide and Bimetallic Nanoparticles in Ionic Liquids: Synthesis and Application in Multiphase Catalysis"
Ionic liquids (ILs) are well established as solvents and stabilising agents for the synthesis of metallic nanoparticles (NPs) in general. The physico-chemical properties of ILs and the supramolecular organisation in the liquid state, are capable of directing the growth of transition metal NPs generated in situ, and to subsequently protect and stabilise them. Until now, many different NPs have been successfully synthesised within these media, however the synthesis of metal oxide and bimetallic alloy or core-shell nanoparticles in ionic liquids is still relatively rare. Herein we summarise the current state of the art of the synthetic methods for these materials and their application in the broad field of catalysis including multiphase systems, hydrogenation, dehydrogenation, functionalisation as well as defunctionalisation reactions. 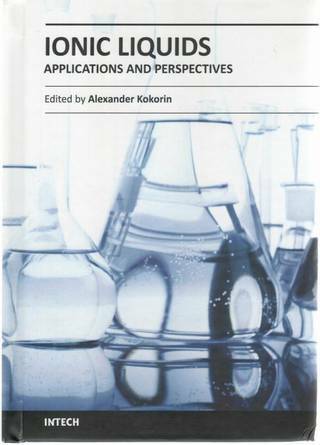 Ionic liquids (ILs) are excellent media for the generation and stabilisation of metallic nanoparticles (NPs). Their ionic character coupled with 3-D structural pre-organisation in the liquid state, serves to direct the growth of transition metal NPs generated in situ, and to subsequently protect and stabilise them. Until now, many different NPs have been successfully synthesised within these media, however much attention has been paid to Ru-NPs. These have been prepared with small sizes and narrow size distributions by reduction of organometallic compounds with molecular hydrogen as well as decomposition of transition-metal complexes in the zero-valent state. These stable Ru-NPs immobilised in the ILs have proven to be efficient green catalysts for several reactions in multiphase conditions, including important energy-related processes such as biomass refinement. Furthermore, they present potential novel materials for use in the production of smarter electronic devices. 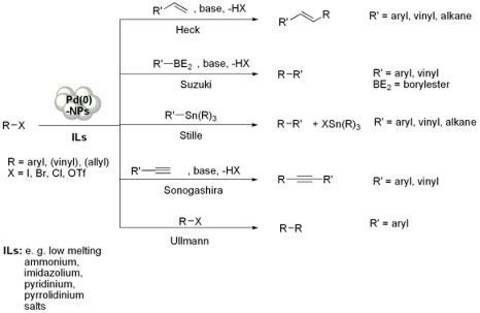 In this review, the synthesis, stabilisation and size-control of Ru-NPs via various methods in different ILs is discussed, followed by their varied application in catalysis and potential in new fields. In the field of hydrogen storage, ionic liquids (ILs) find application as: solvent, co-catalyst, catalyst, hydrogen storage material and stabilizing agent. Benefits of ILs for the system are discussed here. Sputtering deposition of gold onto the 1-(butyronitrile)-3-methylimidazolium bis(trifluoromethylsulfonyl)imide (BCN)MI·N(Tf)2 ionic liquid (IL) has generated colloidal and stable gold nanospheres (AuNS) and gold nanodisks (AuND) in a bimodal size distribution. Upon increasing the sputtering discharge voltage, three distinct phenomena were observed: (i) the mean diameter of both AuNS and AuND decreased; (ii) the population with lower diameters increased and (iii) the formation of AuND disappeared at voltages higher than 340 V. By dissolving the colloidal gold nanoparticles (AuNPs) in isopropanol and dropping the product onto carbon-coated Cu grids, 2D and 3D superlattices tended to be formed, as observed by transmission electron microscopy (TEM). Therefore, the formation of AuND is probably related to a strong interaction between sputtered Au atoms of low kinetic energy and the nitrile groups orientated to the vacuum phase of the IL surface, which drives the preferential anisotropic lateral growth. 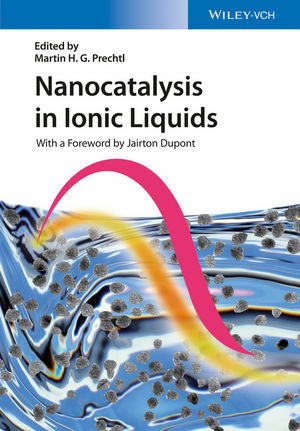 The promising potential of nanoscale catalysts and ionic liquids is reflected in numerous publications in the last two decades. Sustainable and recyclable synthetic methods are requested nowadays; therefore novel environmental benign catalyst systems have been under development in the recent years. Ionic liquids revealed great potential as catalyst-stabilising solvent for multiphase reaction systems and as medium for the synthesis of metal nanoparticles in general. 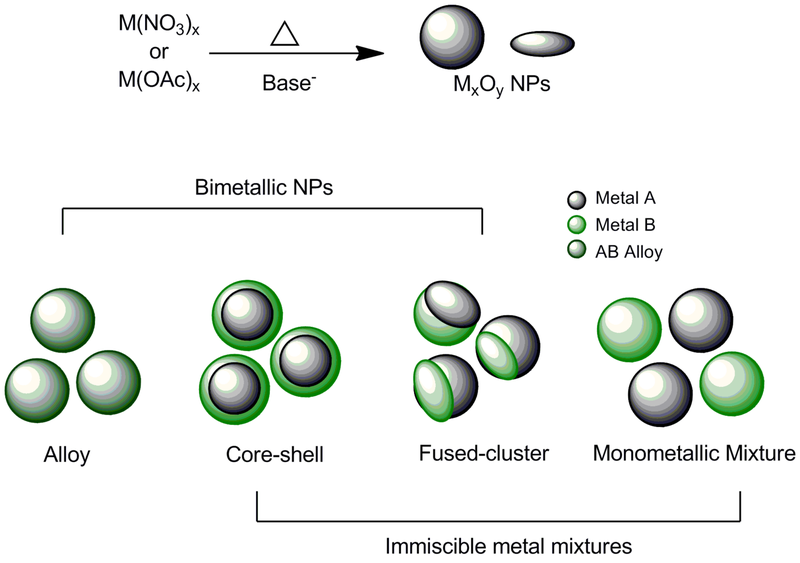 Such metal nanoparticles show interesting properties for heterogeneous as well as for homogeneous catalytic reactions in organic chemistry. Their advantage combines the long catalyst life-time of solid catalyst with the high activity of molecular complex catalysts. In the present chapter a selection of palladium catalysed coupling and hydrogenation reactions in ionic liquids (ILs) is presented. Model systems using the Pd-NPs/ILs approach are presented for homogeneous and heterogeneous reactions: Cross-coupling reactions like the Heck and Suzuki reaction, for example, are discussed besides others. In such reactions the palladium nanoparticles act as reservoir for the catalytically active palladium species in IL-based multiphase system. 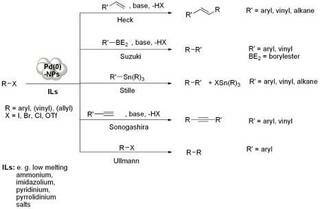 Complete and partial hydrogenation reactions of double and triple bonds are presented. 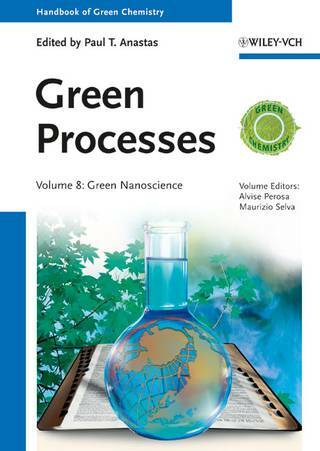 The sub-chapters include perspectives about catalyst recyclability, reaction pathways and mechanistic aspects. A brief summary of selected pioneering and mechanistic contributions in the field of carbon-carbon cross-coupling reactions with palladium nanoparticles (Pd-NPs) in ionic liquids (ILs) is presented. Five exemplary model systems using the Pd-NPs/ILs approach are presented: Heck, Suzuki, Stille, Sonogashira and Ullmann reactions which all have in common the use of ionic liquids as reaction media and the use of palladium nanoparticles as reservoir for the catalytically active palladium species. Here we present the state-of-the-art for asymmetric catalysis using chiral ionic liquids (CILs) as source of chiral information. The current review covers reactions using typical homogeneous catalysts e.g. 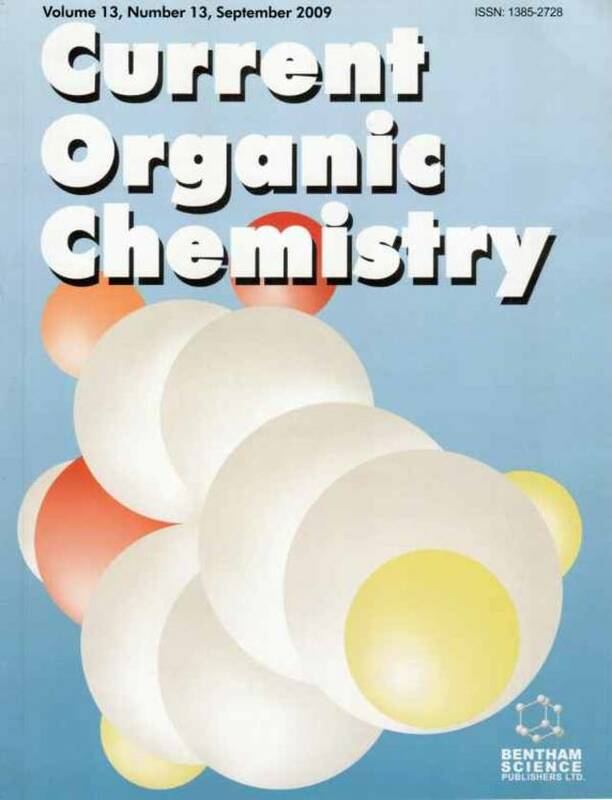 organocatalysts, transition metal complexes and solid catalysts for heterogeneous catalysis in solvent-systems with chiral ionic liquids. Die Synthese der nicht-klassischen Rutheniumhydridkomplexe [Ru(dtbpmp)H2(H2)] (PNP Pincer-Rückgrat) und [Ru(dtbpoet)(H2)H2] (POP- Pincer-Rückgrat) mit fixierter Geometrie, die Anwendung in homogener Katalyse und ihre Reaktivität gegenüber kleinen Molekülen wie N2, CO2 und CO wird beschrieben. Die Komplexe mit “side-on”-gebundenen molekularen Wasserstoff wurde analysiert mittels NMR (T1-analysis), FT-IR und DFT-Rechnungen. 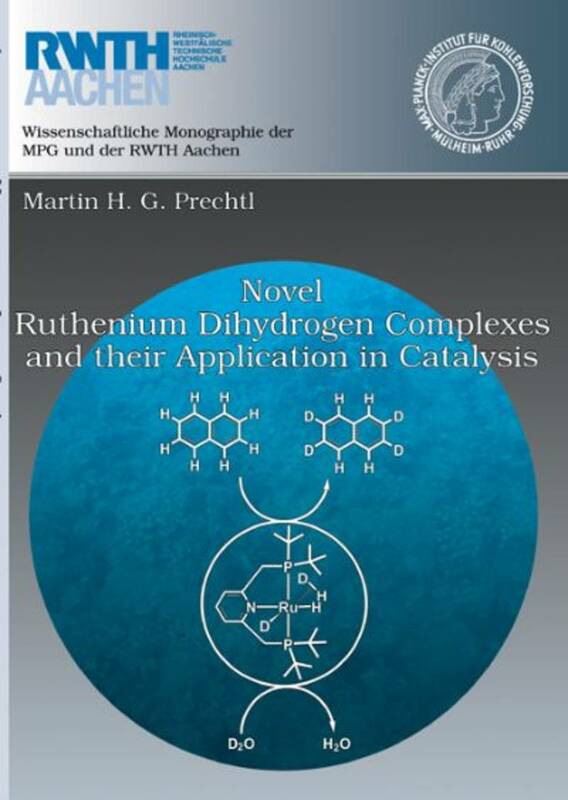 Nichtklassischen Rutheniumhydridkomplexe haben ein grosses Potential als Katalysatoren für CHAktivierung, speziell für den H/D-Austausch und Wasserstofftransferprozesse. Wir haben erfolgreich einen neuen Rutheniumhydridkatalysator für den H/D-Austausch zwischen (hetero)aromatischen oder olefinischen Protonen und D2O (oder C6D6) unter milden Bedingungen eingesetzt. Der H/D-Austausch umfasst auch mechanistische Untersuchungen (NMR-Kinetik und DFT-Rechnungen). Interessanterweise ist der Rutheniumkomplex auch katalytisch aktiv für die akzeptorfreie Dehydrierung von Alkoholen zu Estern und einige andere Reaktionen.